Martino’s Auto Center offers everything you need when it comes to tire repair. Doylestown drivers trust our highly trained technicians to keep them safe on the road, and we take pride in our quality service. Whether you need tire balance, tire rotation, or alignment, our Doylestown tire repair team has the experience to perform any tire service on all car makes and models. In addition to tire repair, Martino’s Auto Center also provides all major tire brands for sale at our shop. 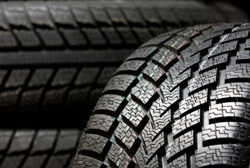 Our Doylestown tire repair experts will assist you in choosing the right tires for your vehicle based on your specific driving patterns to ensure you get the most out of your tire purchase. No matter what vehicle you drive, our Doylestown tire repair team can find the perfect tires to get you back on the road! Please contact our tire repair crew with any questions at, or schedule an appointment online for your next Doylestown tire repair!